January 29, 1922: carrying the Torah, the American flag, and lighted candles, the founding members marched to the new building and opened its doors for the first time. 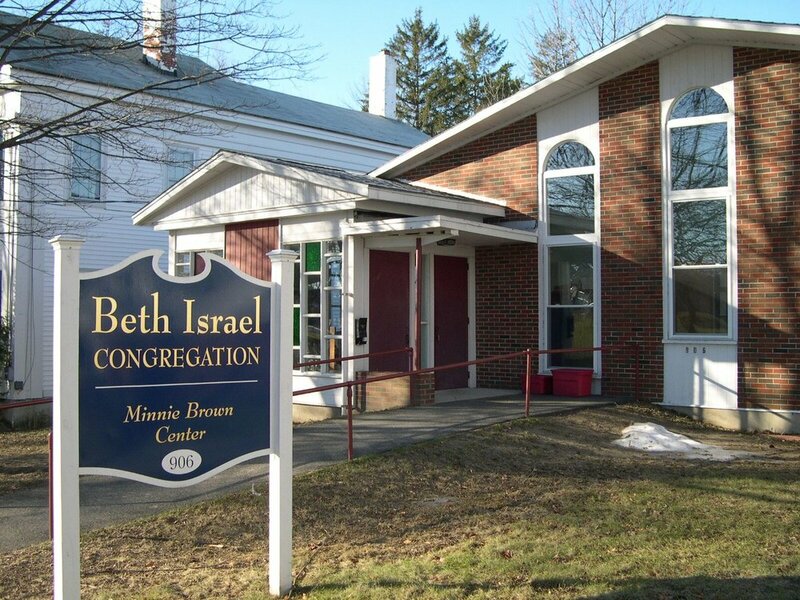 In 2002, with the help of a bequest by long-time member Minnie Brown, Beth Israel purchased a building at 906 Washington Street to serve as the permanent home of the Hebrew School. Nearly a century following the first Jewish presence in Bath, Beth Israel has a Jewish cemetery. As you enter the sanctuary through the large double doors, you will notice the simplicity of the space along with a lovely wood paneled ark on the bimah. The main sanctuary seats 100+ in wooden pews with additional seating for 40+ in the balcony. A function room and kitchen are located downstairs. 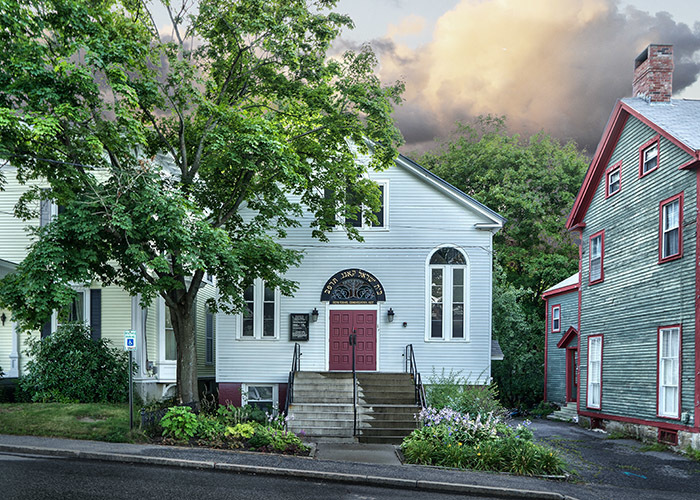 This building, purchased in 2002, houses our Hebrew school. On the main floor there is a Rabbi's study and a large function room used for meetings and festive occasions. Downstairs are six small classrooms, a kitchen, and an eating area. The Beth Israel Cemetery Committee is pleased to announce that construction of our Jewish Cemetery has commenced and that we can now receive funds from and assign plots to members of our congregation and their families (both Jewish and non-Jewish family members).